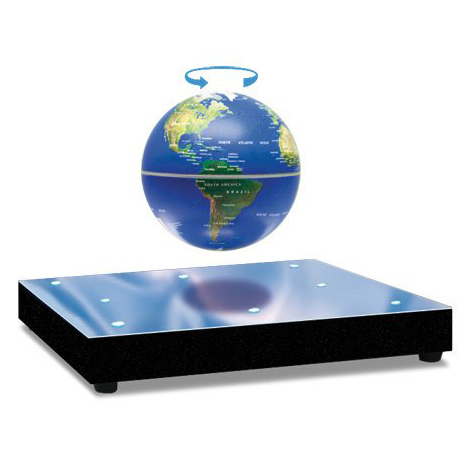 Levitate your collectibles and watch them rotate in mid-air on this antigravity platform. A handsome desktop decoration, this platform features electromagnetic technology developed by an international engineering team. Very minimal power is used to create real powerful levitation that will amaze and inspire your co-workers, clients, and colleagues. The stage not only levitates and rotates, but it also features eight LEDs for illumination of the included 3” globe or your other Levitron collectibles.